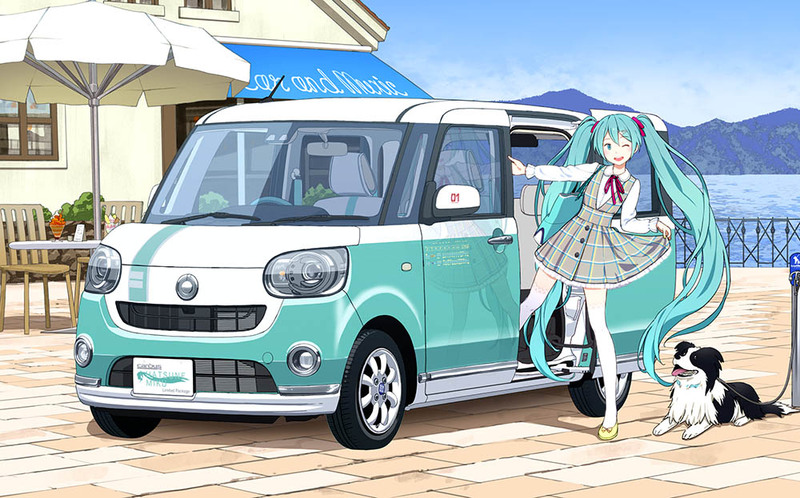 Following the press release in October, the very first Hatsune Miku-themed car is getting some new updates today. The main visual for the collaboration project is now out, and comes from the artist Kamogawa, who illustrated the CD jackets of the Vocaloseasons album presented by EXIT TUNES. In addition to the main visual release, we now have a lead on the release date – Spring 2018. For fans who wish for an early look at the real deal, the exhibition for the Daihatsu Move Canbus Hatsune Miku Ver. has been announced for Sapporo Motor Show 2018, which is to be held at at Sapporo Dome on January 19th~21st, 2018. Be sure to drop by if you’re visiting Japan during those times! 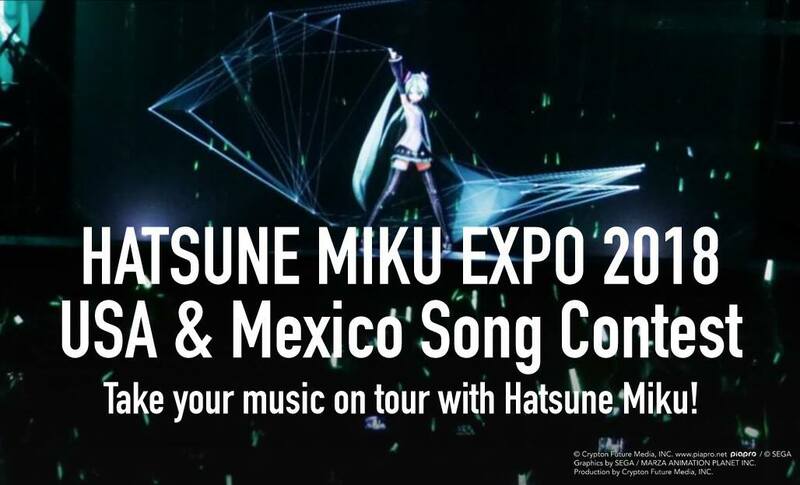 Hatsune Miku Expo is back again in Summer of next year, and as grand as ever! The event will cover 6 venues across 4 states in the U.S, and one in Mexicio City. We will update the ticket information as it becomes available! Hatsune Miku will be making an appearance in the bullet train transforming robot anime “Shinkansen Henkei Robo Shinkalion”, not as a cameo, but a complete role with the accompanying visual released today. 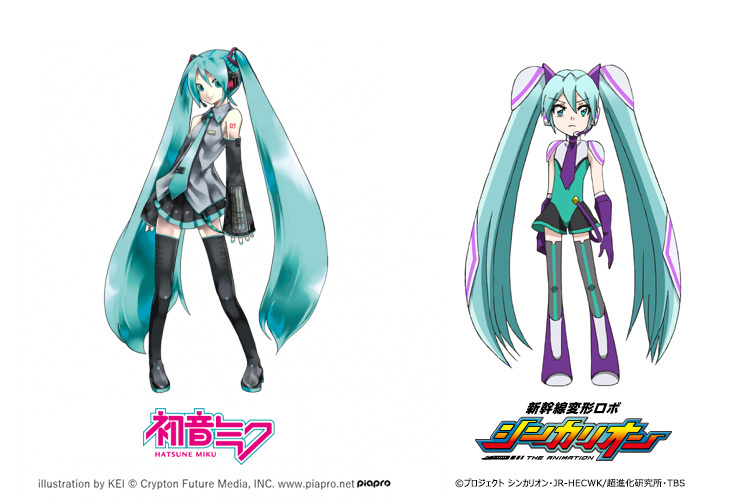 The virtual diva will be playing as an 11 years old pilot for the Shinkalion H5 Hayabusa as “Hatsune Miku”. While the name comes as no surprise, it’s written with the Japanese characters for “pronunciation” (発音ミク) instead of “first” and “sound” (初音ミク). 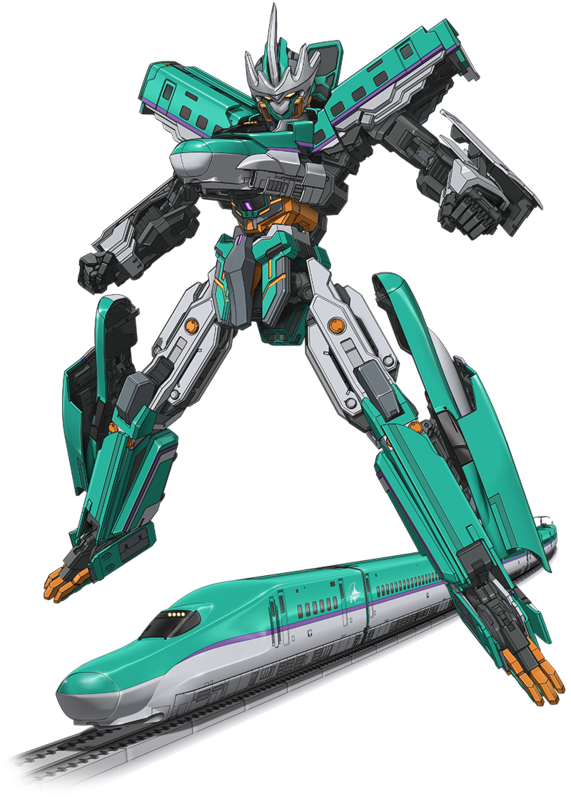 “Shinkansen Henkei Robo Shinkalion” is an upcoming TV anime directed by Takahiro Ikezoe based on the line of transforming train toys, where gifted children piloted transforming bullet trains to combat monster that resembles a jet black bullet train. The series will broadcast on the Tokyo Broadcasting System network on Saturdays at 7:00AM JST starting from January 6th, 2018 . 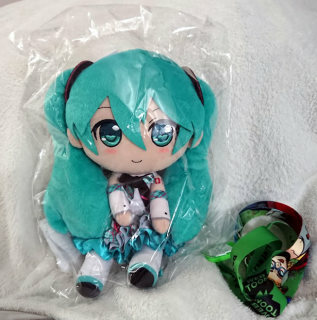 MikuFan’s Plushie Giveaway Results, Merry Christmas! Merry Christmas, everyone! Or as Miku fans would say, Merry Mikuristmas! For today’s festive day, we would like to announce the results of our Hatsune Miku: Magical Mirai 2017 plushie giveaway! Question #1: What was Hatsune Miku’s BIGGEST concert appearance? We chose our wording very carefully for this question! We weren’t talking about Hatsune Miku’s biggest concert performance, or even her biggest event. But rather, her BIGGEST concert appearance. And her appearance was certainly the biggest at Natsu no Owari no 39 Matsuri in 2012, where stood an amazing 10 meters (33 feet) tall! Below is a digest video of the event. Question #2: Who is the “father” of Hatsune Miku? Yet another very carefully worded question! When we talk about the father of a software, you of course refer to its creator. Many were quick to choose Hiroyuki Itoh for this question, since he’s the CEO of Crypton Future Media. But he wasn’t the creator of Miku’s software! That honor goes to Wataru Sasaki, aka CFM_Wat, or @vocaloid_cv_cfm on twitter, whom many of you may already follow! He was the head engineer behind Crypton Future Media’s Character Vocal series of products, which includes Hatsune Miku, Kagamine Rin & Len, and Megurine Luka. Thank you to everyone who participated in our giveaway! We here at MikuFan wish all of you a Merry Christmas and Happy Holidays! Below is a collection of Hatsune Miku Christmas illustrations we gathered from Pixiv, enjoy!